Stock market technical and fundamental analysis both have yield impressive results for users. They are completely different from each other. When it comes to investing in the stock market there are several tools to study market behaviour. These studies allow investors to analyze emerging market trends. Broadly we can classify stock market analysis into two approaches: Technical Analysis and Fundamental Analysis. They are two important methods of forecasting the future trends of financial market instruments. Each approach serves its own advantage. But how these two are different from each other? To begin with, most investors use either two or a combination of both to study the market. Although, there has been always a debate on which form is most beneficial. Technical analysis takes into account chart. Whereas fundamental analysis is based on the financial statement. Since every investor wants to learn a faster way to earn from stocks. What type of analysis approach should be used? Read through this article about these two common approaches to analyze stocks. Before jumping into the difference between both, let us discuss what they mean. The primary tool for technical analysis is price data. Price data is the most important consideration regardless of the chosen timeframe. The purpose of this analysis is to capitalize on pricing opportunities. In addition, to determine market trends around each share. However, the method is purely based on historical data this is considered to be a backward-looking technique. For additional Reading, see Technical Analysis of Stocks. The intent of the stock market fundamental analysis is to generate a stock value that would characterize all these underlying factors. Moreover, this is considered a long-term investment approach. Because it does not include short-term pricing and trading swings. As a result, it may take time to determine the intrinsic value. Technical Vs. Fundamental Analysis. What is the best way to invest? It’s a common question that people ask when it comes to choosing between the two. Here are a few factors used for selecting the best methods. First, the important thing to consider is the time horizon of your approach. Technical analysis is a short-term method whereas fundamental analysis is a long-term investment strategy. By trading on market trends, technical analysis is short-term focused. While by pricing on intrinsic values, fundamental analysis is working towards the company’s long-term value. Second, you need to consider the type of investment approach. Are you a trader or investor? Technical analysis is a comprehensive trading strategy aimed to drive returns, thereby identifying trends and opportunities. Fundamental analysis is determining the underlying forces that affect the wellbeing of companies, industry, and economy. Specifically, the analyze the factors that drive your returns. Definition Statistical method used to determine pattern and predict future price movements. Determine company’s stock to find intrinsic value and analyze factors affecting price in future. Stock bought When price falls below intrinsic value When trader believes they can sell it for a higher price. The effectiveness of the approach depends on your duration. Longer-term investors always want to invest in a stock that is growing. In this case, fundamental analyze is the key to increase net profits. Whereas short-term traders do not need to study long-term company performance. Technical analysis will help to capitalize short-term swings for the day. In short, both of these are on the opposite spectrum and share very little similarities. Which approach is suited best for you? There no definitive answer to this! As an analyst has written in favour as well as against both. As a smart investor, it would be wise to choose an approach based on the requirement. Do you wish to learn stock market from the best stock market institute? IFMC Institute offers the latest technologies and educational tools. The objective is to make learning engaging and fun. The students can choose from instructor-led live courses or recorded online stock market courses. In fact, learners get unlimited flexibility that is suitable for the beginner, intermediate as well as advanced level learners. Since it’s one of the most important skill sets required for the day traders to learn. 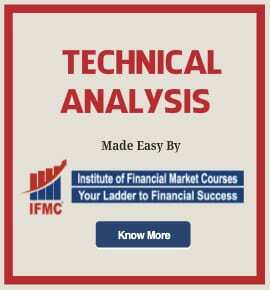 IFMC Institute offers certification in both technical analysis and fundamental analysis program. In essence, the course focus on the basics of key price levels, stock charts etc. Study easy-to-understand technique of analyzing a company’s financial reports. Technical analysis is a crucial tool to aid proper trade entry. A greater entry perhaps increases the chance of success. 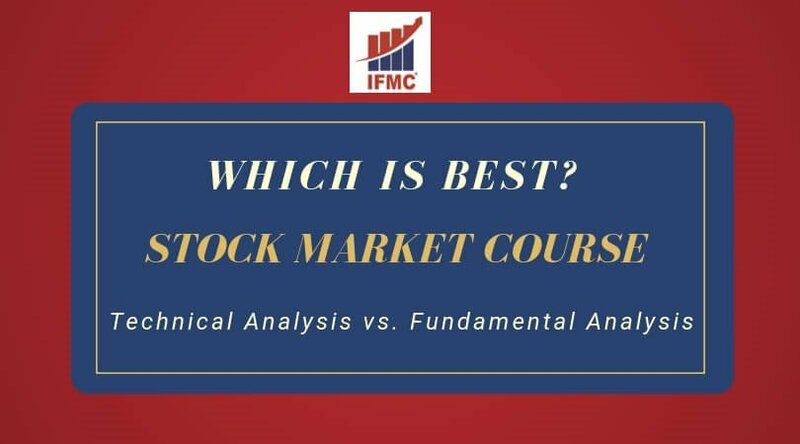 Learn to transform technical data and pricing trends into actionable trading strategy with IFMC.The best institute for stock market trading education. Technical analysis course for beginners offers students to learn the various tools. This will introduce you to concepts, strategies, and common terminology. In short, the course will teach you the skills required to capitalize on stock trends. Just like a pro trader. Fundamental analysis course will make students ahead of the market. This is done by understanding the true value of stocks and capitalizing on price. The course focuses on techniques to examine the various political, economic, financial, qualitative, and qualitative factors. Especially, fundamental analysis course is sufficient for stocks, commodity, and forex market traders. UDTS is IFMC award-winning stock market course. The course is internationally recognized. It focuses on delivering formal education for both stock market beginners and professionals. Therefore, UDTS facilitate students to fill in the gap in their understanding. This will also help to know where there are positioned. Also, UDTS course includes a study of intraday trading. Learn how to trade stocks online under the guidance of an expert. Stock Market Course For Traders is a must do a program for Traders. The course focus on the study of Intraday Trading and Options Trading. In fact, both these segments require expertise and knowledge. Therefore, become expert to trade with IFMC – SMT program. Also, master in Technical Analysis and Unidirectional Trade Strategies. This also includes Commodity Market, Currency Market, Options Strategies, and Equity Derivative. When you ask an investor; the difference between Technical Analysis and Fundamental Analysis. Most of them will probably tell you that the best way to go is using a combination of both. While the majority of analyst focus on the fundamental side while many brokerage firms now employ technical analysis. In conclusion, the ideal approach for investing likely involves a combination of both fundamental and technical analysis. Some analyst believes that combining both techniques may be the best way. But, in the end, one should be able to recognize the constraints. Therefore, select a technique that suits one’s aptitude. Institute of Financial Market Courses (IFMC) is a premier institute for financial market education. We are currently operating in five major cities: Noida, Vaishali, Laxmi Nagar (Delhi), Lajpat Nagar (Delhi), and North Campus (Delhi). The stock market institute delivers cutting-edge training to people looking for a career in the stock market. Our program brings an extensive focus on next-generation learning which enables students to stand out in the competitive employment profession. 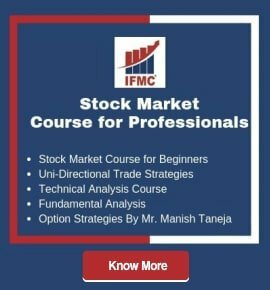 The institute is a pioneer in introducing both classroom and online classes with an emphasis on live market practicals and placing students in top firms with a different profile like Stock Market Analyst, Equity Analyst, Research Analyst, and professionals for this upcoming sector NSE, SEBI and Stock Market. 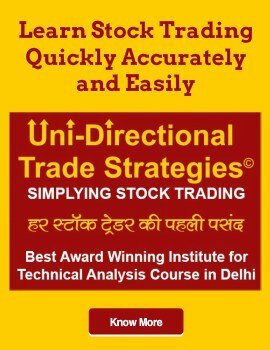 IFMC is recognized as “Excellence in Financial Market Courses 2018” by Delhi City Icon Awards for its best selling Unidirectional Trade Strategy (UDTS) stock market course. The course is designed for students who want to learn share trading.